BR 40/10 C I Adv 17833160 https://www.kaercher.com/tn/professional/floor-scrubbers-scrubber-dryers/scrubber-driers/walk-behind-scrubber-driers/br-40-10-c-i-adv-17833160.html The most efficient in its class: as an industrial version, the compact and powerful machine with 10 l tank and 400 mm working width is ideal for use on oil-stained floors. 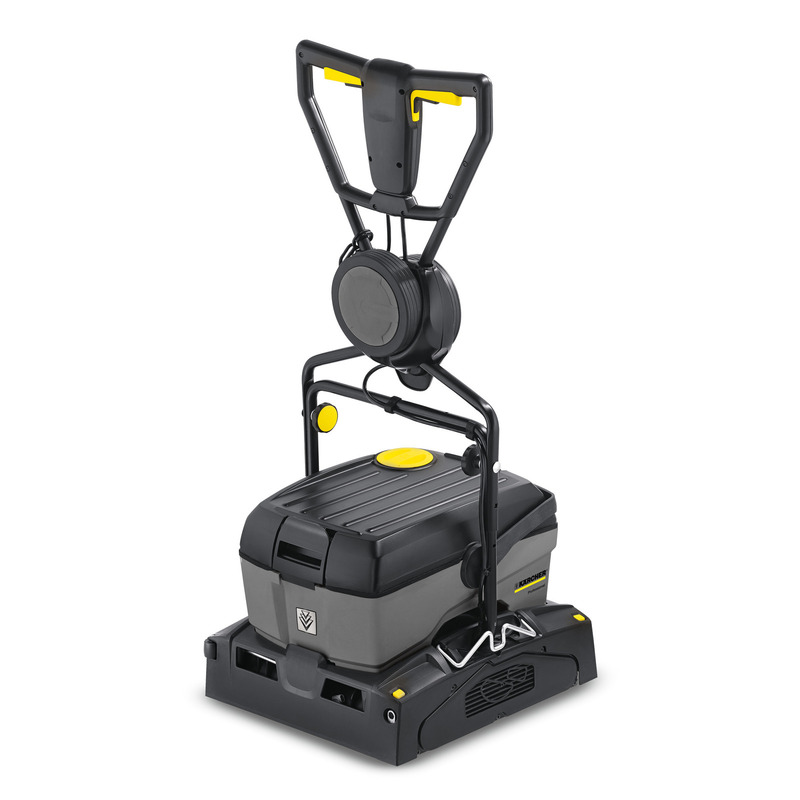 The most efficient in its class: as an industrial version, the compact and powerful machine with 10 l tank and 400 mm working width is ideal for use on oil-stained floors. The BR 40/10 C I Adv is a compact, versatile walk-behind scrubber drier with 400 mm working width and a tank capacity of 10 l. The machine allows low-noise scrubbing and drying in both directions. The BR 40/10 C I Adv features a foldable push handle and removable tanks which can be easily transported with a locked carrying handle. The brushes and squeegees can be changed in seconds without tools. As an industry version, the device offers additional transport wheels and is equipped with brush contact pressure adjustment.